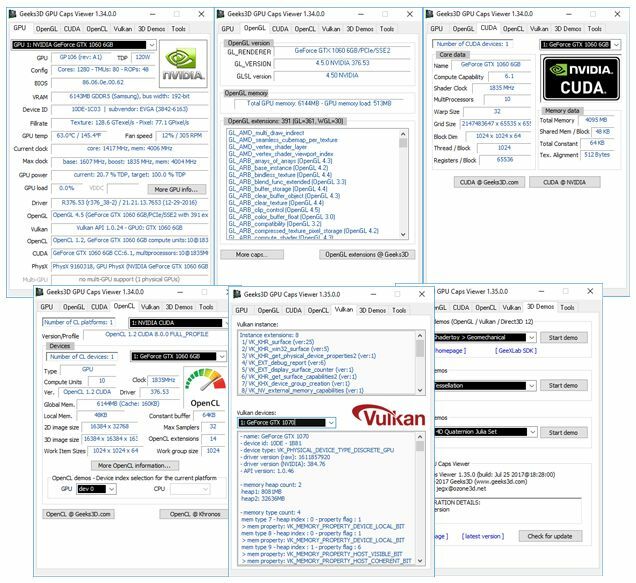 GPU Caps Viewer 1.38.0 is a maintenance release and comes with the support of new NVIDIA GPUs (TITAN V, GeForce GTX 1060 5GB, NVS 810, Quadro P1000/5000). This new version fixes a bug in the reading of the BIOS version of Radeon GPUs. 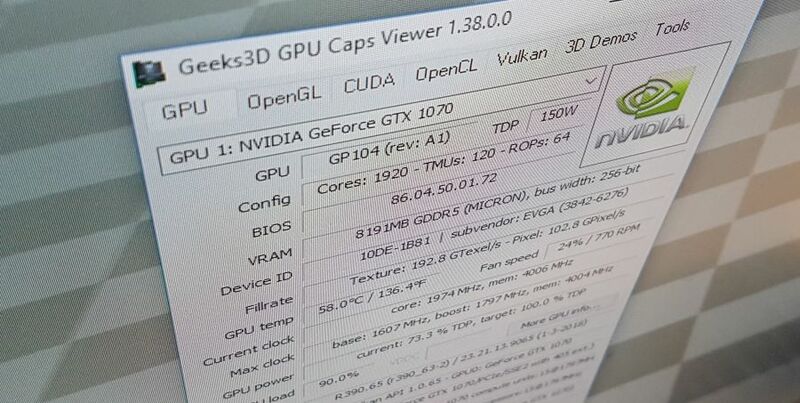 A new GeeXLab demo has been added (OpenGL 4.0 tessellation v3). + added GeForce GTX 1060 6GB for notebook (1c60).
! fixed a bug that prevented to start Vulkan demos from command line.
! 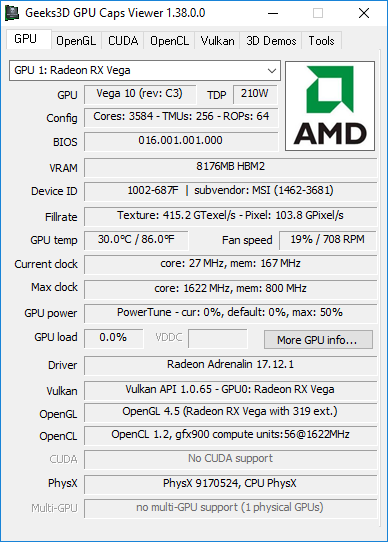 fixed BIOS reading on Radeon RX Vega GPUs. demo (the triangle) from command line.
! 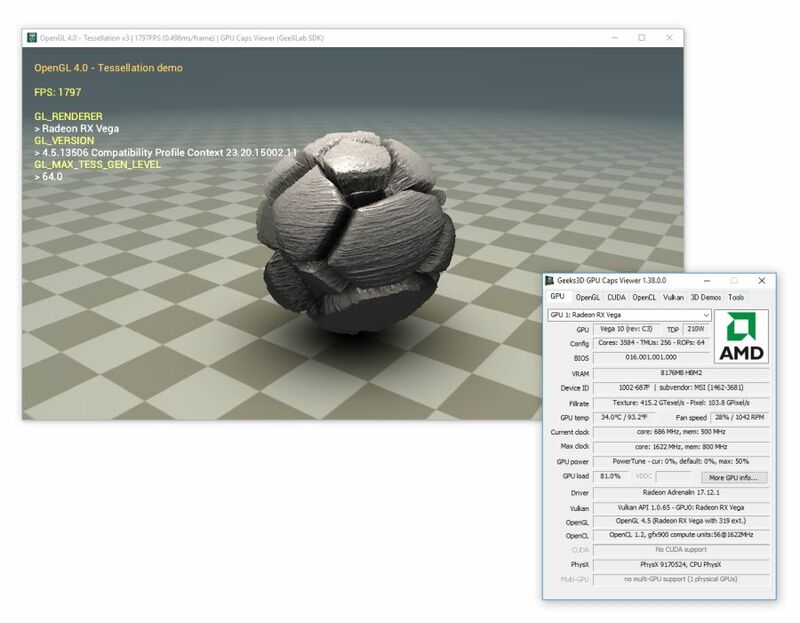 recompiled with latest Vulkan API headers (v1.0.68). Thanks, I fixed this stupid bug. 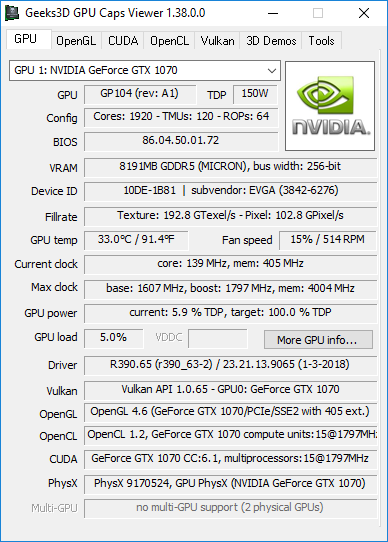 GPU Caps 1.38.2+ is ok.
Hey jeGX, GPU Caps viewer is leaking objects with Geforce Driver 397.31, can you take a look? Fluidmark is also leaking GDI Objects when running the test. Appears to be Windows 7 only, strange. can`t find the 1.39 version. Is there a hidden secret place for it? Nope, there’s no secret place, I just forgot to update a link. Sorry!